Feeling peckish? 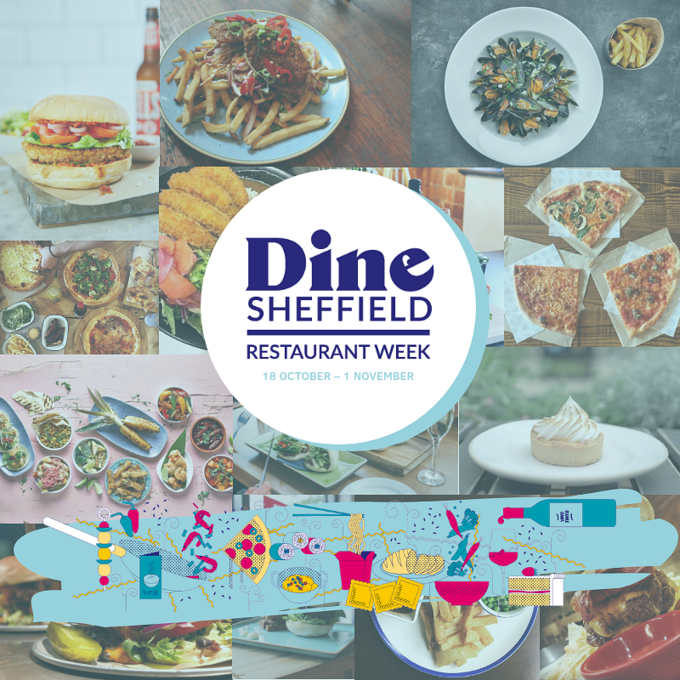 Soon, you’ll be able to enjoy a meal out from just £5, as Sheffield’s Business Improvement District (BID) brings Dine Sheffield back to the city centre from 18 October – 1 November. Celebrating the city centre’s booming dining scene, cafés, restaurants, bars and pubs will once again be offering bespoke set menus for just £5, £10 or £15. Vouchers can be downloaded for free online at www.dinesheffield.co.uk and can be redeemed at more than 30 restaurants during the city’s foodie fortnight. Inspired by New York’s Restaurant Week, Dine Sheffield sees eateries of all shapes and sizes taking part to showcase Sheffield’s diverse and vibrant dining scene. From independents including Marmadukes and Craft and Dough to the likes of Strada and Gourmet Burger Kitchen – there are deals to suit all tastes and budgets. Whether it’s a quick bite at lunchtime, a sophisticated date night, or tea with friends – Dine Sheffield is the perfect opportunity to get out and explore the culinary delights that the city centre has to offer. Get involved with Dine Sheffield by heading to www.dinesheffield.co.uk, where vouchers are available to browse and download for free. Once vouchers are downloaded, you must book in with the restaurant and redeem your voucher between 18 October and 1 November. Terms and conditions for each individual voucher, plus details about restaurant access, travel and parking can also be found at www.dinesheffield.co.uk. Keep an eye on #DineSheffield on Instagram and Twitter, or join the Facebook event for the latest updates.